I started making baby hats for the local hospital this summer, as a way of justifying my knitting habit, and as a way to meet people in a town that's still new to me. Knitting in public is something I love to do, and knitting something tiny in public is almost always a good conversation starter. People are curious, and little hats make them happy. Almost as happy as my red rain boots also seem to make them. The hats I make started out as regular newborn size, and when I delivered my first batch, I threw in a few that accidentally came out too small (I thought). As it turns out, those little bitty hats are the ones most asked for by the nurses who distribute them. The last time I saw the volunteer coordinator, he showed me the two tiniest hats he still had, and told me they wanted more like those, and even smaller. What??? I have an image of my new self, my beach self, my (way) post-beads self and post vegan cheerleader self (although I'm still vegan). This best-old-lady-I-can-morph-into self, includes designing things with sticks and string (knitting and crochet), and sharing patterns with the world. In this image, I never make a mess of anything, and all my ideas translate beautifully into soft and splendid items to decorate ourselves and our homes. In this image... 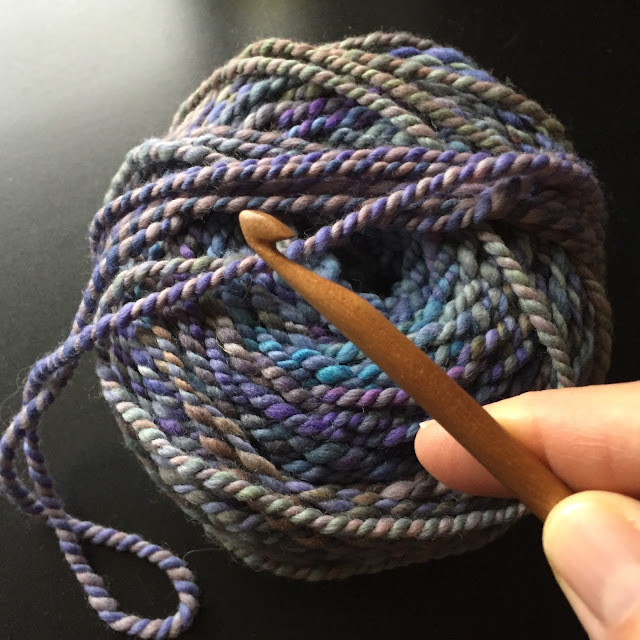 I am someone completely other than my real self, who has at least as many failures as successes, and little idea of how to write a kitting pattern.